It’s difficult to believe, but it’s already time for the fourth year of Magento Masters, a program to recognize top contributors in our ecosystem. Wednesday, we shared this year’s Movers with you, yesterday we shared this year’s Mentors. Today we reveal the ten Magento Masters selected as Makers. Carmen has two homes: the metropolis Cologne in Germany and the World Wide Web. She first learned about Magento in 2010 and has since then never been willing to give it away. Her work as a Magento freelancer is ranging from A (analyses), B (bugs), C (cronjobs), D (development) all the way up to Z (Zend). On her Neoshops.de blog, Carmen writes about insights and encounters from her work with Magento and the community. 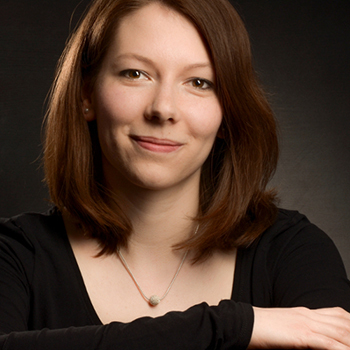 As an active member of the community, she helps to organize the MageUnconference and the Magento Meetup Cologne. She is an avid collector of Magento certifications, books, and running shoes. Carmen was selected as a Magento Master for 2019 based on her 2018 contributions organizing MageUnconference and Magento Stammtisch Köln, as well as helping to form the initial Magento Association, and speaking engagements educating the ecosystem on work-life balance, diversity, and GDPR. "If you're gonna be a bear, be a grizzly." Rebecca has carried these words as a source of motivation since she was young; you can consistently find passion in her work, hobbies, & attitude. As a public advocate of mental health awareness, she aims to break the stigma that prevents people from speaking up & seeking help. Rebecca's an enthusiastic member of the Magento community devoted to supporting merchants, developers & retail specialists exceed their potential. Her knowledge of the consumer landscape is extensive & she’s committed to sharing insights any way she can, be that via YouTube, speaking, writing or good old conversation. Rebecca was selected as a Magento Master for 2019 based on her 2018 contributions raising awareness in the community on Mental Health through the MageMH broadcast, DevExchange at Imagine, Magento Minds of Manchester, and MageTitans Manchester, as well as speaking engagements educating the ecosystem on omnichannel and ongoing videos supporting the community on YouTube. 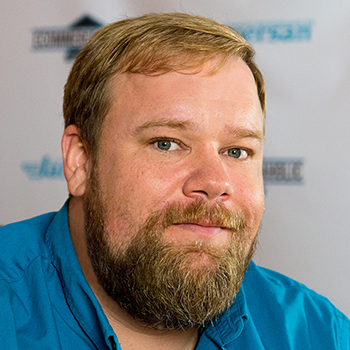 TJ was selected as a Magento Master for 2019 based on his 2018 contributions organizing Magento Meetups in Birmingham, Nashville, Charleston, Charlotte, and Jacksonville, as well as connecting and educating the community through eCommerce-Aholic LIVE and speaking engagements at Magento-centric events. 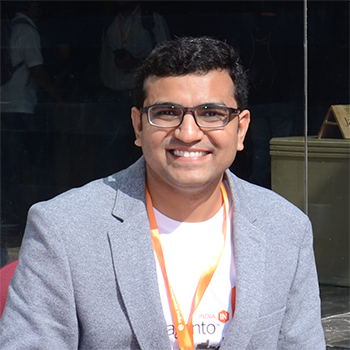 Vijay is a VP of Development at Wagento and Magento U Trainer. Vijay’s career started with Magento Commerce in 2009. During the initial years, he gained experience in different skills like Magento customization, extension development/integration, API integration, and Magento performance. He extensively focuses on code quality. Vijay is one of worldwide developer trainers for Magento U and regularly travels to and speaks at Magento events. When not working, Vijay enjoys his family, watching the cricket match and running. Vijay was selected as a Magento Master for 2019 based on his 2018 contributions on GitHub, organizing Meet Magento India, Distributed Magento Contribution Day India, and Ahmedabad Magento Meetup, as well as his contributions to help form the initial Magento Association. Lyzun Oleksandr is the Magento Technical Team Lead at comwrap and joined the company in 2015. In the last 10 years of working with Magento, he developed, led and put live numerous Magento projects. In addition to that, he successfully completed the Magento Developer-, Magento 1- and 2 Solution Specialist Сertifications. In June 2018 he became a part of the Magento Community Maintainers Team and the Magento DevDocs Maintainers Team. Last year he intensively worked directly together with Magento on Community projects like the BULK API-, PWA- and GraphQl-Project. Currently a Maintainer of Magento Asynchronous Import community project. His passion is to work on complex Magento projects, to provide tailored solutions to the digital challenges of e-commerce customers. Oleksandr was selected as a Magento Master for 2019 based on his 2018 contributions on GitHub, serving as a Community Maintainer on GitHub, organizing Magento Contribution Day Germany, and speaking engagements educating the ecosystem on the community-driven Bulk API project. It was more by chance than with intent that Sonja got her first job at an eCommerce agency, and a Magento focused agency at that. The Magento community and Sonja met at a German Magento meetup where her task as a co-host was to open the door to anyone interested. She tries to stick to this prime task, at least figuratively. 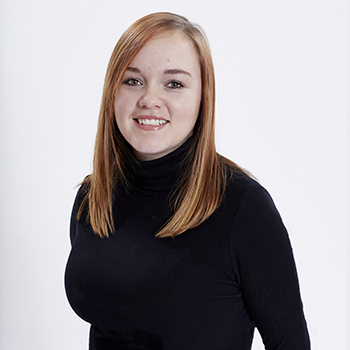 Nowadays, you can find her working as a marketing manager at integer_net, on ballroom dance floors and as a co-organiser at events such as MageUnconference and the Magento meetup in Aachen, Germany. 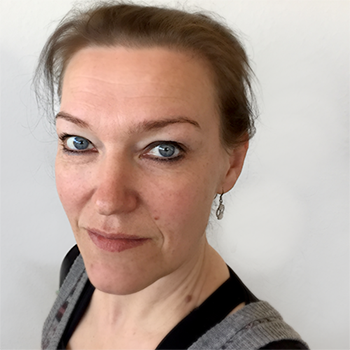 Sonja was selected as a Magento Master for 2019 based on her 2018 contributions organizing MageUnconference and Magento Stammtisch Aachen, as well as translations, helping to form the Magento Association, and speaking engagements including educating the ecosystem on the importance of the words we use. Yaroslav Rogoza is a CTO at Atwix, Magento Solution Partner. Yaroslav has started his carrier developing solutions for different e-commerce platforms about 12 years ago and in 2011 switched to Magento. Yaroslav takes an active part in educating people about developing solutions for Magento platform. Being an active member of Community Maintainers team he dedicates much of his free time to coordinate and review Magento contributions and participates in different open source projects. Yaroslav was selected as a Magento Master for 2019 based on his 2018 contributions on GitHub, serving as a Community Maintainer on GitHub, as well as organizing Contribution Day in Khmelnytskyi and the Khmelnytskyi location for Distributed Magento Contribution Day. 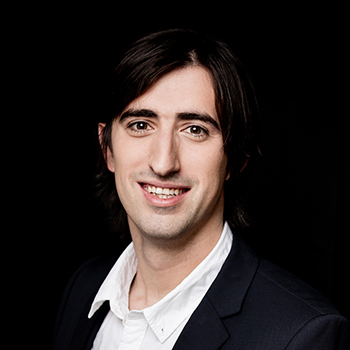 Alessandro works at Bitbull as experienced Magento specialist, devoted to software design, development, and training. He is one of the most active members of the Magento Italian community as an author, speaker, and event organizer. Honored in 2017 with the title of Magento Master Maker and listed among top 50 contributors for his commitment to Multi-Source Inventory project, since 2018 he's also an active Magento Community Maintainer. 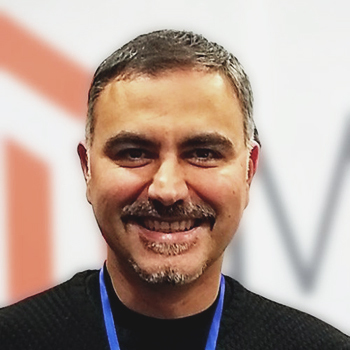 Alessandro was selected as a Magento Master for 2019 based on his 2018 contributions on GitHub, serving as a Community Maintainer on GitHub, organizing the MageSpecialist + BitBull MSI Contribution Weekend, MSI Contribution Day, and MageTItans Italy, helping to shape the Magento Association by serving on the Magento Association Task Force, and speaking engagements educating the ecosystem on contributing to the Magento core and what you learned by contributing to the MSI project. Team Lead, VEN Commerce Ltd.
Ihor Sviziev is a Team Lead at VEN Commerce Ltd. with experience as Software Engineer for 8 years. His journey with Magento started in early 2013, that was Magento CE 1.7. 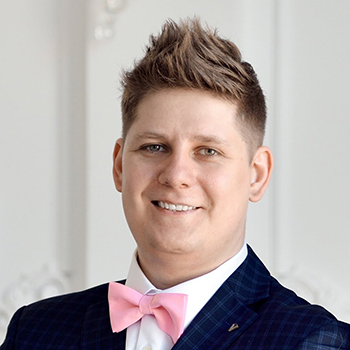 In 2014, Ihor passed Certified Magento Developer exam. He likes to solve real issues on production with simple solutions. When he's not working, he really likes to spend time with family, going to the gym, and traveling. 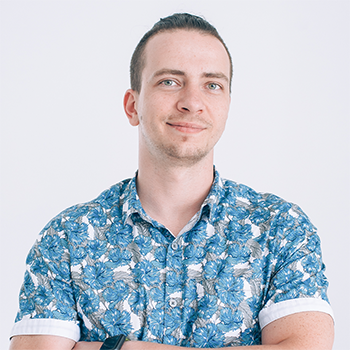 Ihor was selected as a Magento Master for 2019 based on his extensive 2018 contributions on GitHub and for serving as a Community Maintainer on GitHub. Vlad started his journey into a world of e-commerce back in 2011 by joining Magento. Since 2015 he started to bring real-world stores into life rather than core development working for different companies and as an independent consultant. In the free time, besides hanging out on GitHub, he enjoys hiking and traveling with his beloved wife Tatiana Rossada, contemplation of her creating amazing black and white paintings, listening to audiobooks and heavy music. 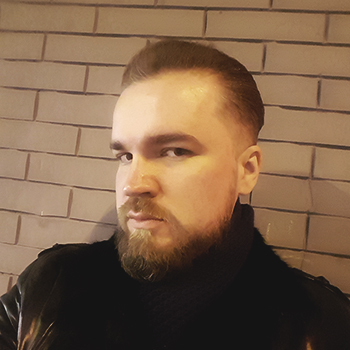 Vlad was selected as a Magento Master for 2019 based on his extensive 2018 contributions on GitHub and for serving as a Community Maintainer on GitHub.